Per the Seller: This 190 LS is in great condition. Upholstery, Bimini, and cover are hole/damage free. Engine and battery are well maintained and easy to access with additional storage next to the motor. Comes with original trailer that is in fantastic condition. Stock #136271 Excellent condition 190 LS! Loaded and ready to cruise! 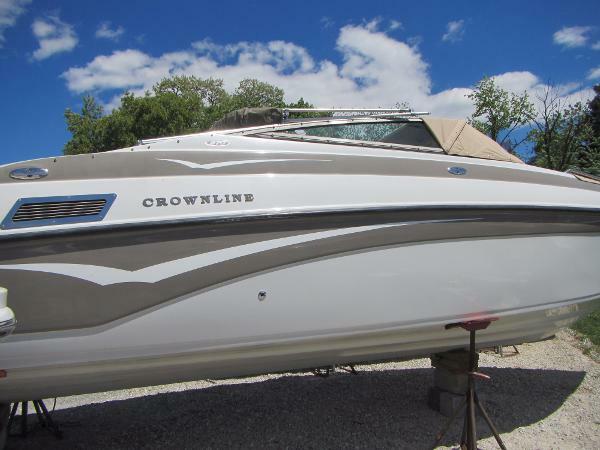 If you are in the market for a bowrider, look no further than this 2006 Crownline 190 LS, just reduced to $16,000 (offers encouraged). 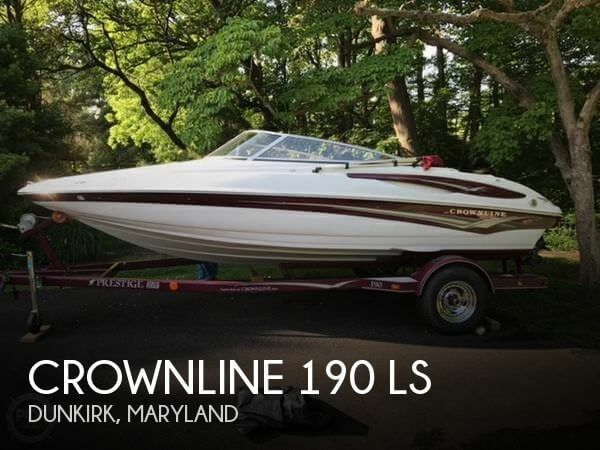 This boat is located in Dunkirk, Maryland and is in great condition. She is also equipped with a Mercruiser engine that has only 172 hours. Reason for selling is purchased a bigger boat. 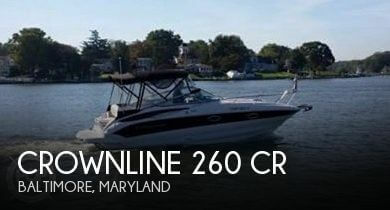 The overall condition of the Crownline 262 is good. It is winterized and up for the winter. The interior could use a good cleaning. The vinyl is soft and supple. There are small imperfections here and there. Nothing major. Stock #133755 Well maintained 262 CR with only 15 hours on freshly rebuilt 5.7L Volvo Penta! If you are in the market for a cuddy cabin, look no further than this 2002 Crownline 262 CR, just reduced to $19,800 (offers encouraged). 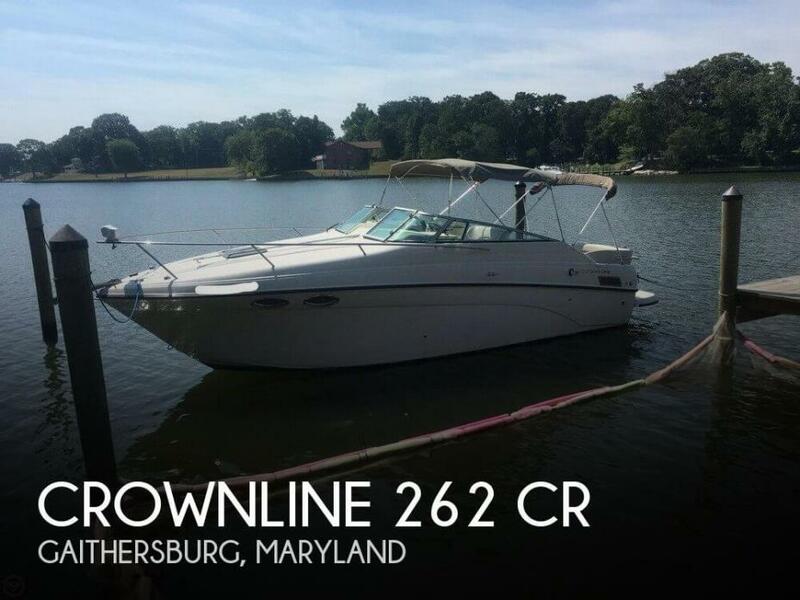 This boat is located in Gaithersburg, Maryland and is in good condition. She is also equipped with a Volvo Penta engine that has only 15 hours. 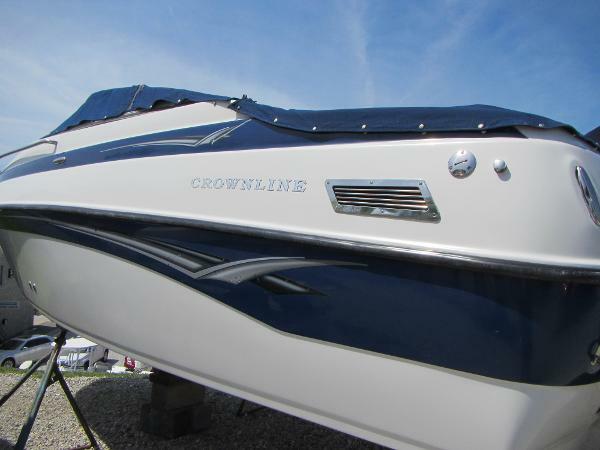 This 2012 Crownline 260 CR appears to be very well maintained. The boat was already shrink wrapped for the season when I toured the boat so I could not inspect all features, but the boat looks great !! I didn't notice a single issue in the cockpit or cabin area. Very low hours on the 350 Mag engine The boat is due for bottom paint in 2019 but overall the hull looked to be in nice condition. The lower unit was replaced in 2014 as a warranty item. 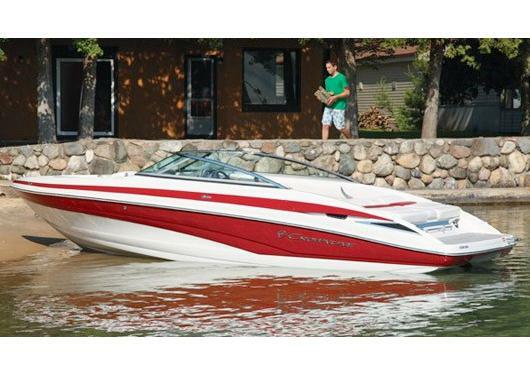 This boat is VERY well priced and ready to go !! Don't miss this opportunity to own a very well maintained and low hour Crownline 260 CR !! Stock #165159 Crownline 260 CR *** Well Maintained !! Low Hours !! Full Enclosure !! Trailer Included !! 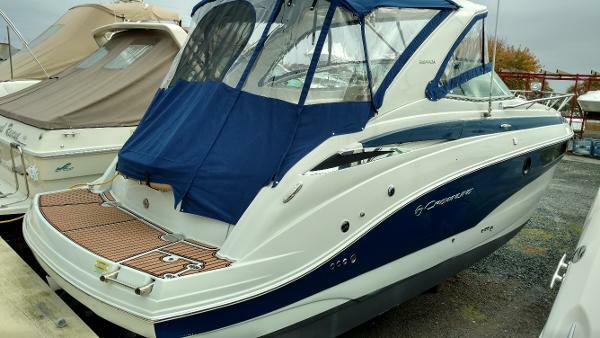 If you are in the market for an express cruiser, look no further than this 2012 Crownline 260 CR, priced right at $69,995 (offers encouraged). 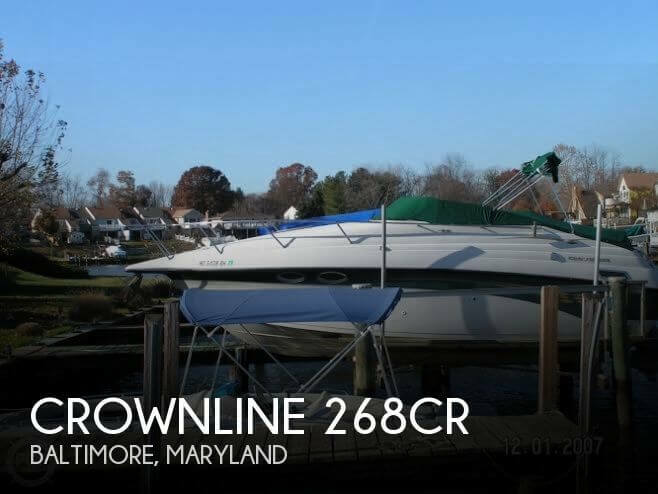 This boat is located in Baltimore, Maryland and is in great condition. She is also equipped with a Mercruiser engine that has 335 hours. 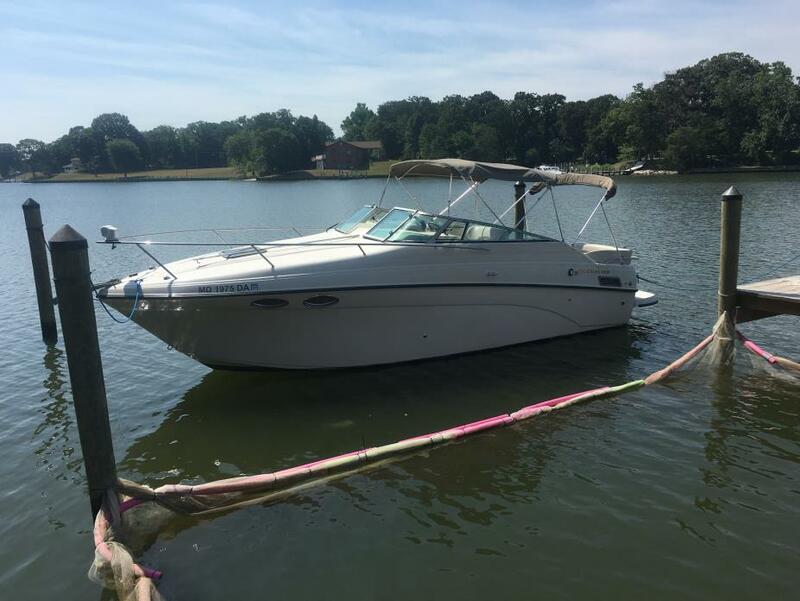 2001 Crownline 242 SC 2001 Crownline 242 SC 242 SC, 5.7L Mercruiser, (no trailer), Bimini Top with Boot, Camper Canvas, Cockpit Cover, Carpet Runners, Bolster Seat, Trim Tabs, Hour Meter-143.8 hrs, Digital DF, VHF, GPS, Dual Batteries with Switch, Flat Screen TV, Stereo, Galley, V-Berth, Aft Cabin (the 4-legged boaters love this area), Table, Microwave, Electric Stove, Refrigerator, Enclosed Head with Pump-Out, Shower, Spotlight, Full Swim Platform, Starboard Windshield Wiper, Bottom Paint, Nice roomy boat with lots of seating......Essex MD BOAT FEATURES 5.7L Mercruiser, (no trailer) Bimini Top with Boot Camper Canvas Cockpit Cover Carpet Runners Bolster Seat Trim Tabs Hour Meter-143.8 hrs Digital DF VHF GPS Dual Batteries with Switch Flat Screen TV Stereo Galley V-Berth Aft Cabin (the 4-legged boaters love this area) Table Microwave Electric Stove Refrigerator Enclosed Head with Pump-Out Shower Spotlight Full Swim Platform Starboard Windshield Wiper Bottom Paint. Nice roomy boat with lots of seating All used boats, including brokerage boats, are fully checked out by one of our mechanics, including: Compression Check of the engine, with results on file All used boats are sold with all safety equipment operational (i.e., navigation lights, bilge pump, blower, horn, and most gauges) If anything non-safety related is not operational, we will disclose that up front (such as stereo system, additional accessories, etc.) All boats are sold in mechanically turn-key and ready-to-go condition, unless otherwise stated as a handyman All trailers sold are roadworthy and will pass state inspection. If youre a MD resident, we take care of the trailer inspection, as well as the boat / trailer titling, boat registration, trailer tag / registration, and taxes. No need for you to run around to the DNR and MVA! 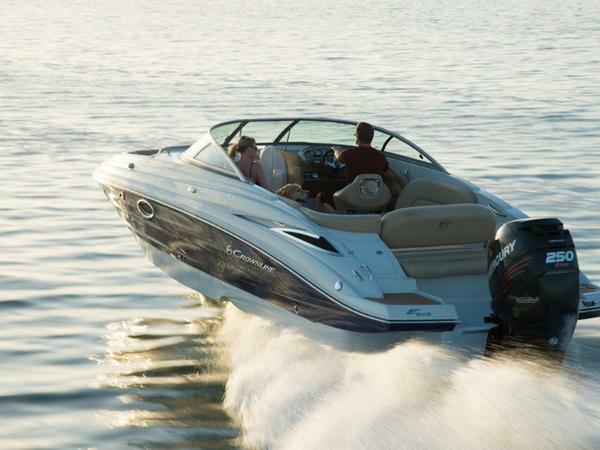 No sales are final until we take you out on the water and do a full walk-through with you on the boat, and you are happy with the ride and condition. We clean all boats before you take them! We have 100+ boats in stock, its very tough to keep them all clean and shiny at one time, but rest assured, your boat will be clean before you take possession. You will be happy you purchased your boat from Riverside Marine! 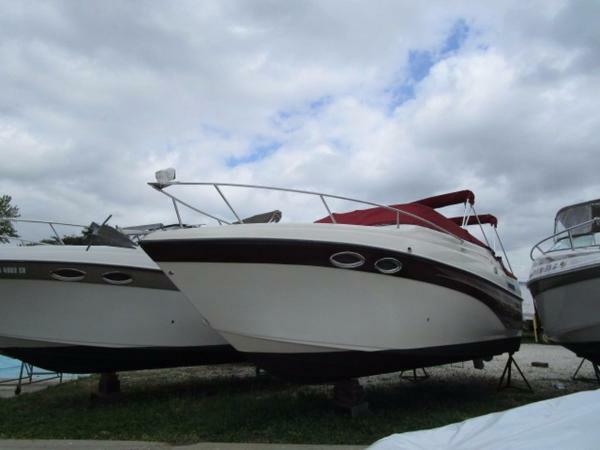 1996 Crownline 210 CCR This vessel would be great as an overnighter, weekender, or simply a day cruiser . Price includes tandem axel trailer. Carb cover is a replacement, the engine is a 350 \ 5.7 260 HP. 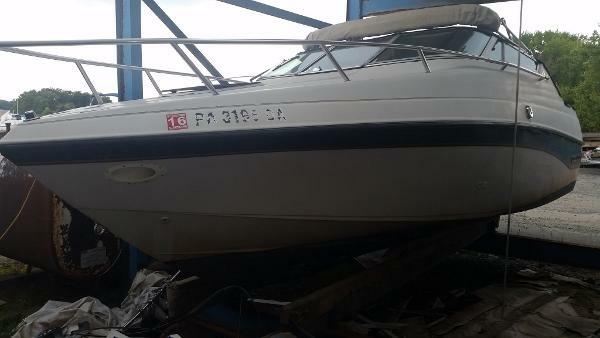 2002 Crownline 239 DB FRESH WATER BOAT kept in Hi & Dry. 2005 Crownline 236 LS Watch our very informative 5 minute video of this boat running - in the water on a plane! 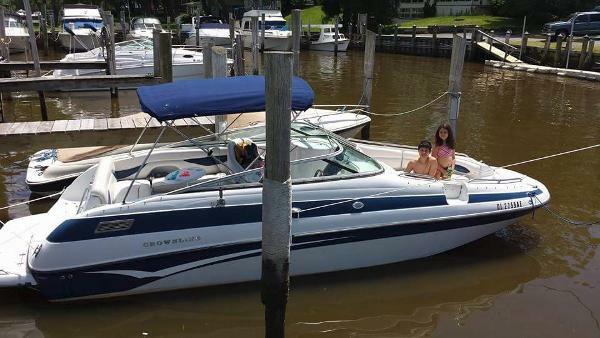 This 2005 Crownline 236 LS is powered by a 300hp 350 Mag MPI Mercruiser motor with a Bravo I outdrive. The boat and motor have 215 hours on them. Features include: extended swim platform with fold down ladder, hydraulic trim tabs, fresh water system, porta pot, Garmin GPS and fish finder, bimini top, and bow and cockpit covers. This sale does not include a trailer. 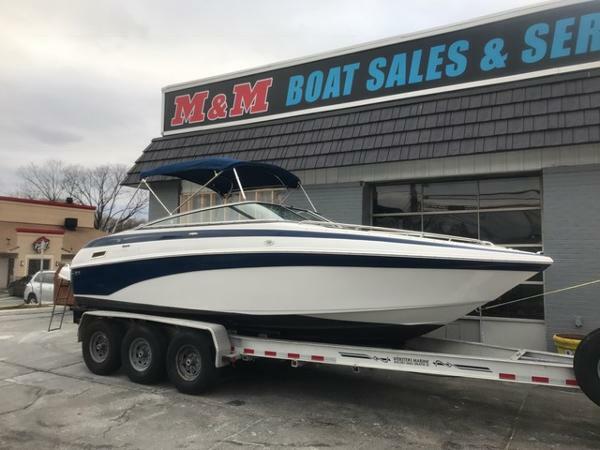 For more information on this listing call Mike Miceli @ 443/324/1368 ... ANYTIMERemember - we sell boats for less - guaranteed, and we do take trades!! Watch our video in the Photo Gallery! For finance info and to see our purchase policy, hit the FAQ tab on our Website. 2002 Crownline 262 CR 2002 262 CR Crown line. 5.7 Volvo Pentra. Engine has a rebuilt short block with about 15 hours on it. The boat has 258 hours. During rebuild exhaust manifolds and risers where replaced, also replaced Shift cable, Y-pipe O ring, Gimbel bearing, raw water pump,spark plugs,drive belt,fuel pump assembly. Installed two newer trim cylinder last season. Replaced some snaps and straps on the covers, also the zipper between the two. It has 30 amp shore power hook up. Sleeps 4, Enclosed Head, Galley ( microwave,refrigertor, `range`). Boat ran great last season, lots of short trips to raft out. 2010 tri axle trailer. Install 6 new tires last season, maybe 300 miles on them. Just installed all new suspension U bolts, plates, bushings, and spring bolts. Saw some deterioration on 1 of the existing U bolt. Just greased and adjusted the wheel bearings. 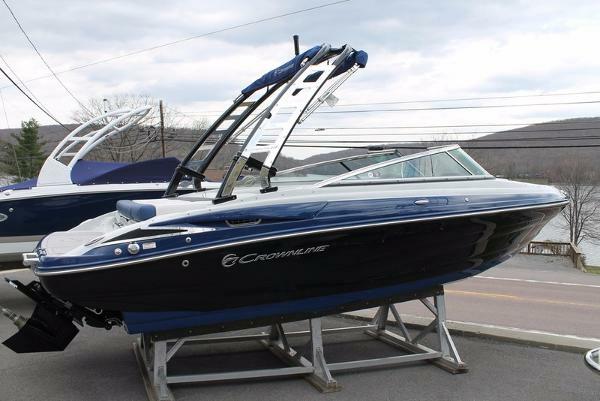 2014 Crownline 294 CR This "like-new" Crownline 294 Cruiser has been lift kept and only has 75 hours on her. She's loaded with camper canvas, Raymarine radar, Raymarine GPS plotter, Depth Finder, AC/Heat, Kohler generator and more. She needs to be seen, trust me!